Judges, prisoners and drug addicts are all in legal limbo in Crimea because the judicial status of Russia’s new territory is still far from clear. Local government in Crimea has pretty much ground to a halt. It is still unclear whether the region’s judges have completed the process of re-registering their credentials so that they can practise Russian federal law, while Crimean prisoners, tried in Ukrainian courts, have not been informed whether their existing sentences will stand or not. Meanwhile, Crimean drug addicts, who have been receiving treatment with methadone substitution therapy (MST), are worried that supplies will soon run out – the drug is banned in Russia – and they will have to fall back on morphine or heroin. Vladimir Putin had barely finished making his momentous announcement about the annexation of Crimea and Sevastopol, when the problems began. The first one concerned the courts, which had been working under Ukrainian law. Disagreements over questions of procedure have paralysed the local judiciary: criminal, administrative and civil cases have all been frozen as judges try to work out what legal process they should be using. 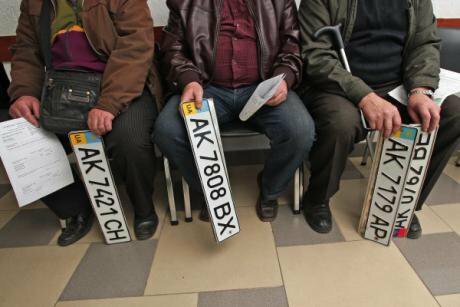 Crimeans wait to exchange Ukrainian licence plates for Russian ones. Not all changes are as comparatively smooth. Disagreements over questions of procedure have paralysed the local judiciary. It got to the stage where Crimean judges’ verdicts could not be recognised under Russian law because there were no official stamps available to validate them. On 24 April, Kommersant newspaper reported a case where a regional judge fined a Crimean resident 5,000 roubles (£100) for a drugs offence, in accordance with Russian law, but used a stamp with a Ukrainian crest to formalise it. As local civil rights campaigners pointed out, he had no alternative, since there were no stamps bearing Russia’s crest. Another legal problem that arose was that Crimean judges were not authorised to deliver verdicts based on Russian law, since they were ruling about Ukrainian, not Russian, citizens. Ukraine also has separate categories of administrative and commercial courts, which have no equivalent in Russia. The special working party set up by the Russian Duma to harmonise the two legal systems is still at a loss to see how these bodies can be adapted to function within a Russian legal framework. In the end, local judges have had to just drop cases founded on Ukrainian law. At first, it was assumed that the question of the status of judges, lawyers and notaries public would be, at least partly, resolved by 19 April. The Russian Government decided to give all Crimea’s judges immediate Russian citizenship, so that they could at least deliver verdicts that would be recognised in the Russian Federation; as for Russian law, they would be expected to get their heads round it as they went along. But as that date approached, it turned out that just having Russian citizenship still would not give them the right to practise in the Russian Federation: they would have to go through a re-attestation process as laid down in the law ‘On the Status of Judges in the Russian Federation.’ This process has several stages: the selection and nomination of a candidate is followed by a qualifying examination, and scrutiny by a Qualifications Board. To speed up the process, the Crimean judges were given a concession in the shape of a simplified exam. So by the end of April, all Crimean judges were expected to have passed the complex examination taken in Russia by any applicant for a licence to practise law as a solicitor, barrister or notary public. To speed up the process, the Crimean judges were given a concession in the shape of a simplified exam: usually, for example, anyone wanting to qualify as a barrister would have to answer a minimum of 100 questions on civil, administrative and criminal law, but the Crimean applicants had to answer less than half that number; and they were examined by specially selected members of Russia’s Law Society. We still do not know whether the Crimean judges and lawyers passed their exam; the Russian Government has not announced any results. The only thing that is clear is that it will be at least a year before the package of bills regulating Crimea’s courts, passed by the Duma on 11 June, will start to be implemented, so the problems will not disappear any time soon. The politicians have, however, ruled that existing judges should have priority for jobs, and selection will made by the Higher Judges’ Qualifications Board. Differences in drugs legislation between Russia and Ukraine have created much greater problems for Crimean drug addicts, and in particular those who have been benefitting from a methadone substitution therapy programme. Eight hundred users in Crimea and Sevastopol are being treated with methadone or buprenorphine to help wean them off their addiction to hard drugs, in a programme set up by the Ukrainian authorities. But in Russia substitution therapy is banned, as is methadone itself, which is on the same list of banned drugs as heroin – the country’s Federal Drug Control Service (FSKN) is strongly opposed to its use. After the annexation of Crimea, when many Ukrainian health officials left the peninsula for good, local users and drug specialists warned that their supply of methadone would soon run out, and asked that they be allowed to continue the programme on an experimental basis. Otherwise, they say, many users who, thanks to the scheme, have been able to reintegrate in society, may go back to using hard drugs. In Sevastopol, the MST programme has been in operation for around five years, and according to both Ukrainian Government research and local human rights organisations, has had considerable success. In 2012, Ukraine’s Ministry for Internal Affairs Academy, the Odessa-based Veritas human rights group and the Ukrainian Institute for Public Health Policy Research carried out a joint study of the success of substitution therapy in preventing drug related crime. Their research showed that 26.5% of Ukrainian Police officers polled had noticed a reduction in crimes relating to drug trafficking, and 22.1% had registered a drop in general crime. Since the methadone programme began, police have noticed a drop in both drug-related and general crime. According to the study, before accessing the programme, 50% of addicts were spending about 200 Hryvnia (£10) a day on drugs, 40% spending up to 500 Hryvnia (£25), and 10%, spending more than 1000 Hryvnia (£50). 77% of those enrolled in the programme also reported that they no longer had to find money for a fix – in other words, the drugs experts pointed out, they no longer had to commit crimes in order to survive. The Russian FSKN is, however, deaf to the experts’ calls. 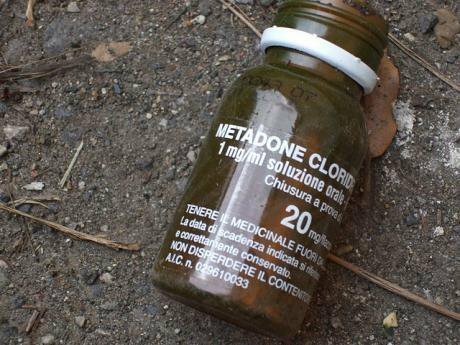 Methadone, they repeat, is banned in Russia, and so it should also be banned in Crimea. Nevertheless, the Russian Health Ministry has decided to allow the distribution of methadone to continue on the peninsula for the time being, announcing that ‘methadone will remain available to those who are enrolled on the programme.’ But who knows how long this temporary reprieve will continue? The legal vacuum in which Crimea and Ukraine found themselves after Russia’s annexation has also affected both prisoners serving sentences in Crimean camps, and people being held in pre-trial detention. 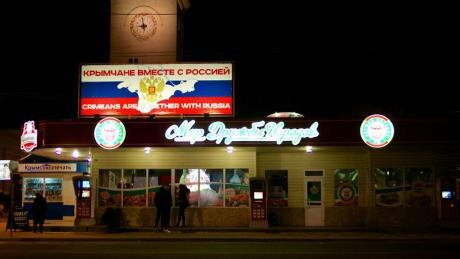 Despite the fact that the Russian Federal Penal Enforcement Service (FSIN) is already operating in the peninsula, local prisoners are still not subject to Russian law. Some prisoners have been convicted under Ukrainian laws that have no equivalent in Russia. The problem is that the 3000 people serving time in Crimea’s three prison camps were tried under Ukrainian law, which has no judicial force in Russia. Some of them have been convicted under articles of the Ukrainian Criminal Code, which have no equivalent in Russian law; and the Russian FSIN and Ministry of Justice have yet to decide whether these prisoners can look forward to a review of their cases and sentences. One thing, however, is clear – no one will want to free prisoners, wherever they were sentenced. In Crimea, at this moment, judges, drug addicts and prisoners all find themselves in the same company – in a legal limbo.